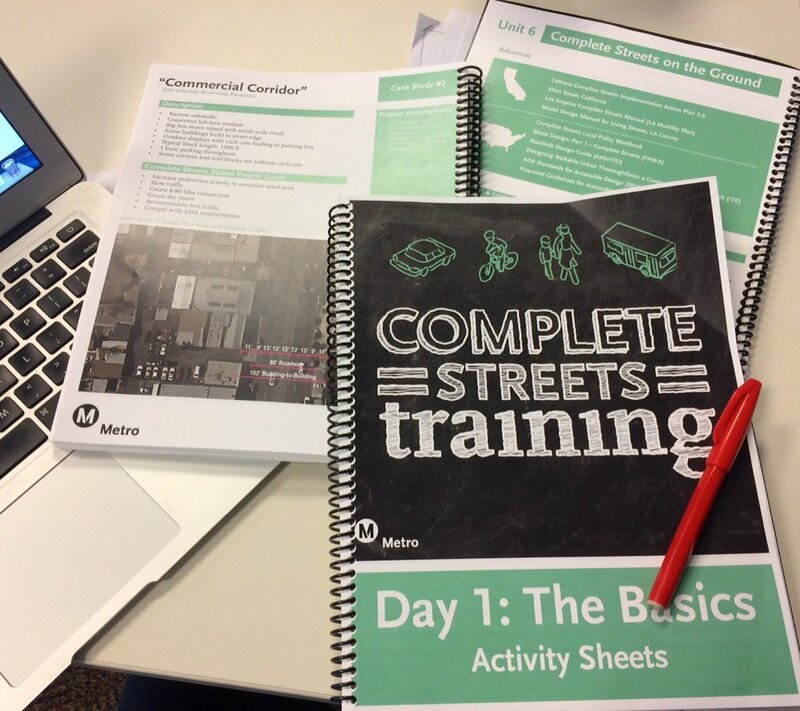 Here LA provided a series of Complete Streets Trainings for LA Metro. Here LA helped develop curriculum that introduces Complete Streets policy history, concepts, and technical design to groups of local government agency planners, engineers, and public works professionals. Over the course of a year, Here LA helped to conduct over ten, two-day immersive trainings to encourage jurisdictions around LA County to write, adopt, and implement Complete Streets policies in their local communities. Here LA will also develop creative educational marketing materials that will be distributed throughout the county to anyone interested in learning more about Complete Streets, along with designing a series of interactive activities as part of the trainings.